ATNE are the North Easts only deliverer of all of the the Mountain Training's new Rock Skills courses. They are designed to provide structured training opportunities for people who want to learn more and become independent climbers. Climbing on rock is an addictive, enjoyable activity that has many benefits, both physical and psychological. There are three different levels so that complete beginners and those with more experience can choose the most appropriate starting point. The four courses are designed to enable you to start at the most appropriate level based on your current experience. 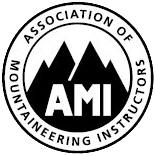 One registration with Mountain Training gives you access to all four Rock Skills courses. Registration is free for under 18s and £20 for adults. This fee contributes towards the administration and quality assurance of the Rock Skills Scheme, gives you access to DLOG (a digital logbook for recording your activities) and material to help you develop as a rock climber. This is a two day course and is all about becoming a confident top rope climber outside. It will cover setting up anchors for top and bottom rope systems as well as the skills required to be a competent second (following a lead climber up a route). Previous experience required Rock Skills Introduction or some other climbing experience. It is suitable for competent outdoor top rope climbers or competent indoor lead climbers. This is a two day course to introduce people to lead climbing on sport routes. Previous experience required Rock Skills Intermediate or considerable outdoor experience, plus some indoor leading experience. This is a two day course to introduce top rope climbers to lead climbing on trad routes. Previous experience required Previous experience required: Rock Skills Intermediate or considerable outdoor experience, plus some indoor leading experience. Our course dates are available on the Mountain Training Candidate Management System, so you can search for a course on a date that suits you. Become an independent rock climber leading routes outdoors in Northumberland, Yorkshire and the Lake District with our experienced instructors.